Emile Woolf has been a professional lecturer since moving into accountancy education in 1965, initially giving lectures on examination topics to students with Foulks Lynch, London School of Accountancy and EWA. He has also lectured at student conferences in many centres in England & Wales and both Northern Ireland and Eire. 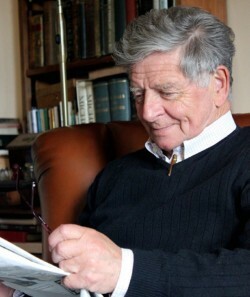 Between 1975 and 2000 he gave hundreds of lectures to practising accountants at venues all over the UK and Ireland on technical auditing and accountancy subjects as well as company law and issues affecting professional practice, mainly on behalf of CCH and the major UK professional accountancy bodies. ￼In the same period he also lectured to packed conferences of students, practitioners and industrial/commercial accountants in Singapore, Malaysia, Uganda, Mauritius, Ghana, Nigeria, Trinidad, Barbados, Jamaica, USA, Hong Kong, Gibraltar and France, where he addressed the Anglo-French Accountants’ Society at Versailles on problems of harmonising company law in Europe.